Hide deals from seller "Airductor Solutions"
Limit 1 per person and 1 per transaction. Valid toward services. By appointment only. Full value of Gift Certificate must be used in 1 visit. 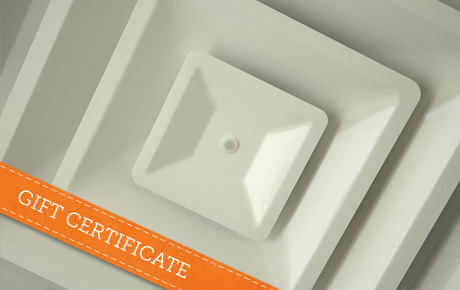 Keep your home clean and your air pure with 50% off an $80 Gift Certificate to Airductor Solutions, Inc. This nationally recognized business offers a variety of services from rug and upholstery cleaning to mold testing and duct repair. The certified technicians at Airductor Solutions are committed to improving the air quality in your home through their powerful and effective air duct cleaning system. Their services for home furnaces and ducts as well as their thorough cleaning services will contribute to clean, healthy air. These services can also help reduce allergies, asthma and sinus symptoms. Airductor Solutions offers monthly maintenance packages and yearly cleanings to ensure your home is safe and clean. A business in Rolling Meadows that provides duct and vent cleaning services.